Fantasy Book Critic: PRESS RELEASE — Look Who’s Talking Up Pyr! The conventional wisdom holds that publishers don't have dedicated readerships—authors and subgenres do. Those few publishers that do cultivate a single brand identity tend to concentrate their focus on a particular subgenre, such as military science fiction. Yet over the last few years, we have begun to hear from readers, critics, chain bookstore buyers, distributors, bloggers and independent bookstores, that Pyr Books is becoming an exception to this notion. 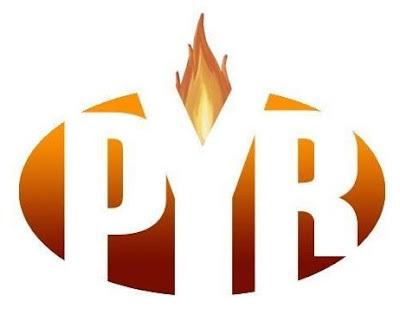 It seems a Pyr brand is taking hold—based not on any one niche within the genre, but on the expectation of a general level of extremely high quality. NOTE: All I can say is keep up the great work Pyr!!! pyr, to me, is also a brand of high quality. its original books are each heads and tales above the other publisher/imprints. Lou is a rare talent and an editor that is going to be known for a long time.